Servicing your car is a pain. It’s often expensive and it’s possible you have nowhere in mind to take it. This is a frustrating situation to be in, but one you must use your problem-solving skills to deal with. Your car is expensive and you want to know it’s in good hands. Don’t go anywhere assuming you’ll get the kind of service you deserve. Do your homework ahead of time and make sure it’s a good fit before you take your car in. You’ll find the right one if you remain patient and positive. 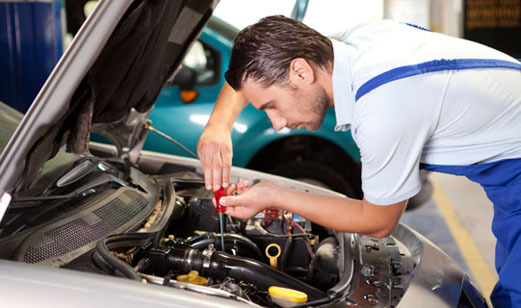 See how to find a trusted mechanic. Ask your savvy friends and family in town where they go. Use word of mouth recommendations to help point you to the right shop. It’s likely that if they had a good experience, you will too. Pick their brain and ask them about the mechanic, how much they charge and if they’d go back there again. At least you know you can trust what they tell you. If the same business comes up from more than one person, you may have all the information you need to give it a try. Drive around or research which options you have in the area. You can’t make a decision if you don’t know what’s out there. Pop into are put able mechanic shop in your city or town and talk to them about what you’re in need of with your car. Poke around the inside and determine if it looks like they take pride in their shop. Speak to customer service and see if you get a good vibe. Head around town and start comparing what you’re seeing as you talk to the different locations. Go online and start searching for options in your zip code. Check with the Better Business Bureau and see if the shops you’re looking at have a good rating. Online will give you a quick snapshot of some of the top locations in your area. Visit each of the websites and see if you’re impressed by any of the information you read. Get your questions answered online or pick up the phone and give them a call. Always read the reviews online from the different websites. Scan the good and the bad ones to compare and contrast opinions. Take into account how many stars they received and the overall thoughts of the customers. Reviews will help you determine if the place is even worth visiting to check out on your own. Once you’ve selected a shop, don’t be afraid to ask to speak with the mechanic and discuss your questions and concerns. Use it as a chance to interview him and make sure he’s able to answer all of your inquiries. If it’s a good fit, you’ll be able to tell pretty quickly and you’ll feel comfortable taking your car there. Trusting your car with someone else is never easy. If you do your homework, you shouldn’t have much to worry about. This is how to find a trusted mechanic.